Was asked to review SRM Recovery Plans especially on source and destination network settings that gets customised during failover. 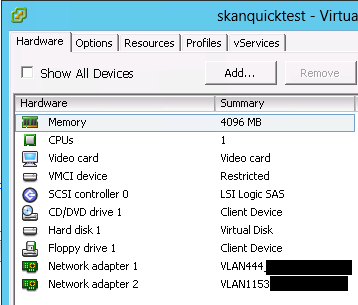 Due to large number of virtual machines to review, it was not ideal to go through recovery plans one by one. Thus, came up with a script to generate an output for review. First of all, I tried SRM API through PowerCLI, however the SRM API version was not at 2.0 so that I did not have access to all APIs. Hence, I had to find an alternative. Doing some research, found an executable called dr-ip-reporter.exe which allowed me to generate an XML file with all information that I needed. One thing popped up in my mind was to convert XML file into CSV. Running the executable to get XML output, copy it to where PowerCLI is installed was a little bit troublesome. Hence, came up with a plan to use psexec.exe to run the dr-ip-reporter.exe remotely and save the output as a variable. However, the executable did not have arguments for username and password. Therefore, this had to be ran manually. 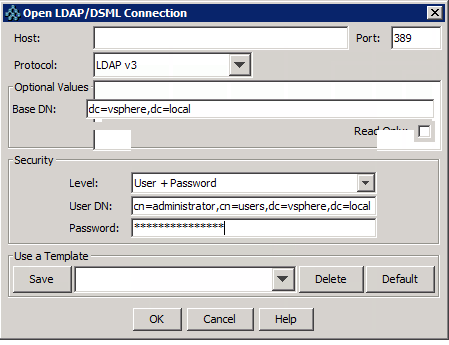 Login to Windows server where SRM server is installed. Copy the IP.xml and paste it to where SRM-XML-Convert.ps1 script. 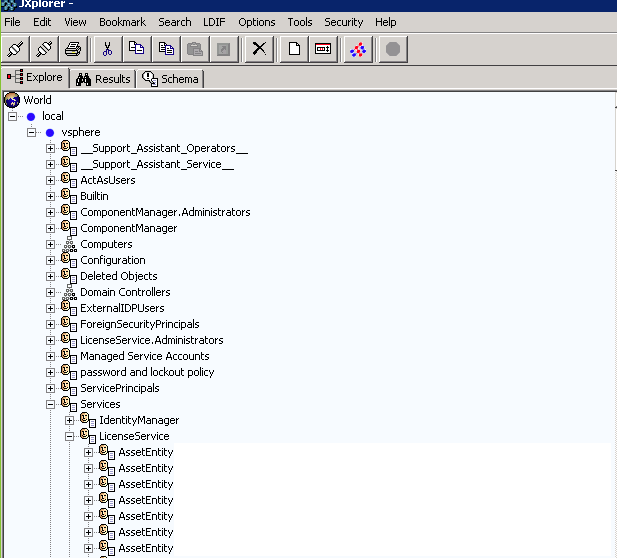 Foreach line of IP.xml file, select components needed. Worked with VMware Support and they advised that the issue is due to the old entity still reamining in the VMware Directory Service database whereas the old asset was removed. The solution was simple enough, remove the old entity. To do the work, JXplorer was required. Download it here. Continuing the vRO deep dive series and this is the 4th part. This will be discussing log handling, exception handling and failing back. Let’s do some exercise and see the difference between them. 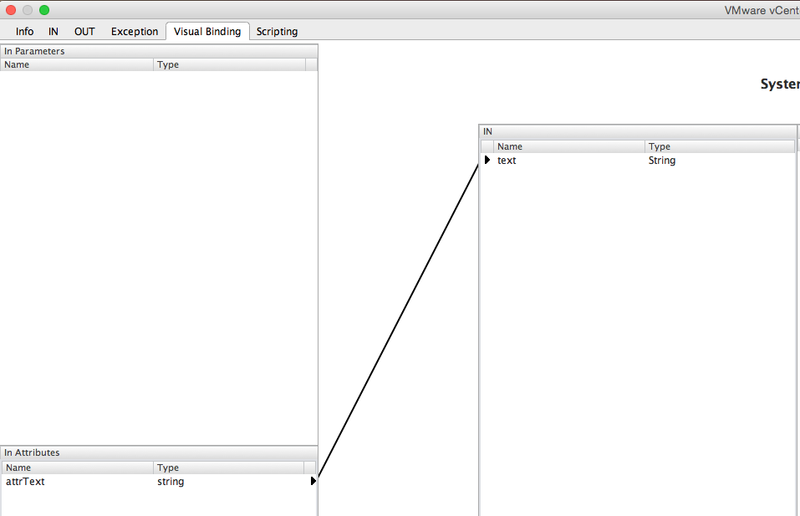 Edit the System log and navigate to Scripting. You will find an auto-generated script “System.log(text);”. 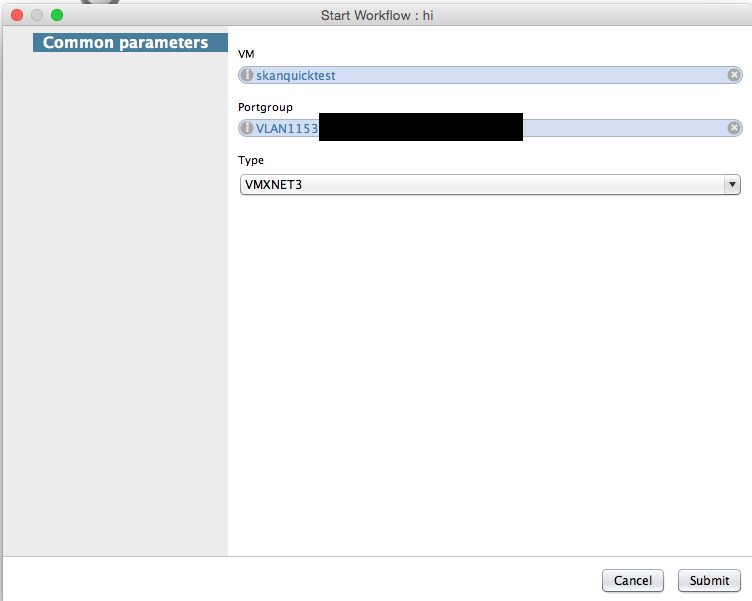 Let’s run the workflow and see how they look differ on the vRO logging tab. 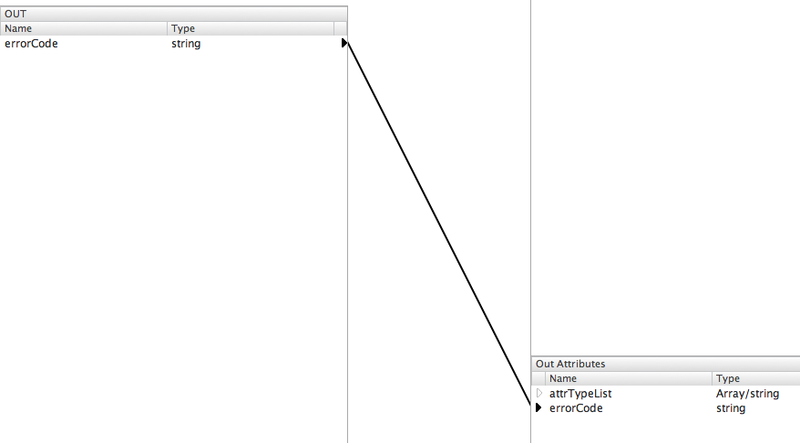 Create an attribute called attrText and the value to be “Different types of logging”. One thing I would like to highlight before moving on is that you do not need to use the above element in order to do logging. 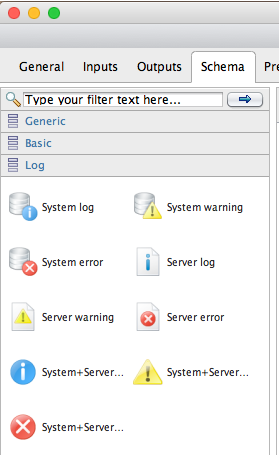 Within a scriptable task, you could always use System.log(text), System.warn(text) or System.error(text). Will go a bit deeper into this shortly. Time for a proper exercise! 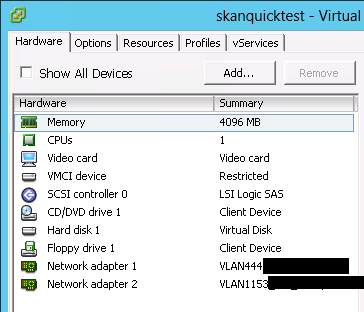 For the next, I will be going through creating a network adapter on a virtual machine with different types of network adapters. 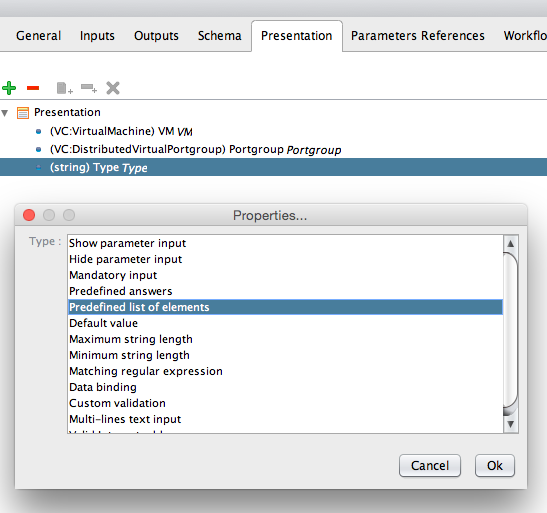 As depicted above, the workflow will require 3 inputs from the end users; virtual machine, portgroup and type. For the type, instead of asking the end user to manually type the input in, it would be better to pre-define a list and let them select one. This would make it easier for both workflow developers and users. Once done, go to Presentation tab, select Type, choose “Predefined list of elements” and link it to pre created attribute attrTypeList. All done! Let’s run the workflow to ensure it does the job. 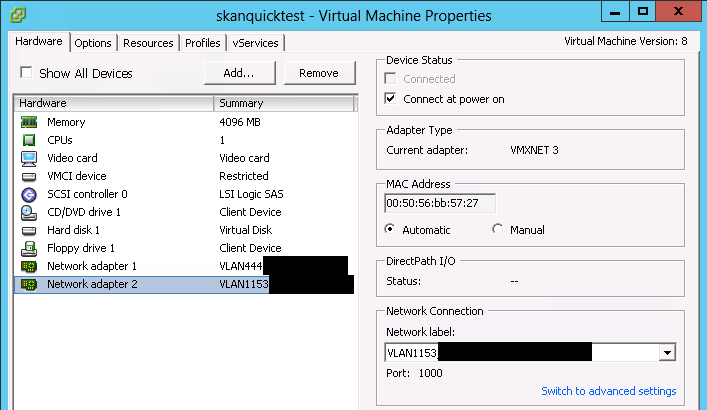 For the next example, I will be choosing a portgroup with VLAN1153 and VMXNET3 network adapter. This is how informational or warning message could be used. For the error message, it will be discussed in the next topic “Exception Handling”. Why would you need to do exception handling? The reason is simple, when something never expected happens, information of the exception has to be handled, e.g. 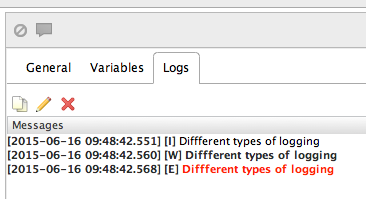 error message logged, locate where it happened…etc, which will allow easier troubleshooting for the developers. 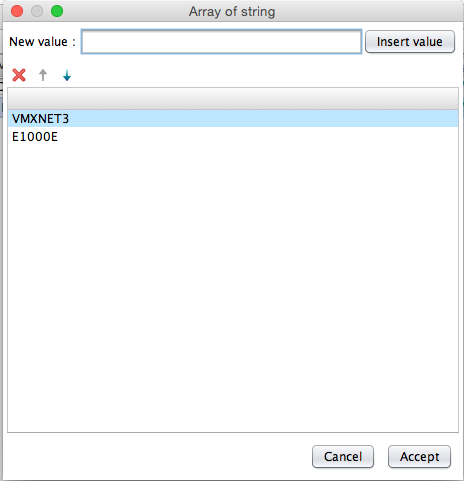 Whatever fails in try statement, the error message will be saved to the variable e and then logged as an error message. Once the change is made, the error will be thrown when an exception happens. One thing to consider is, where will it be thrown to? The exception must be handled once it is thrown. 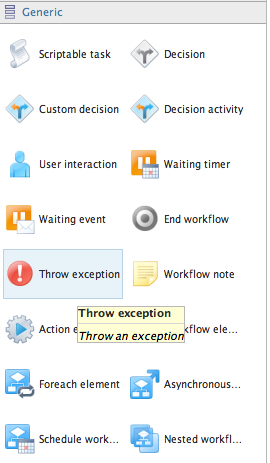 Go back to the Schema and under the Generic tab, you will be able to find “Throw Exception” element. Throw exception element could be treated as End workflow but the difference is, the workflow was successful or failed. 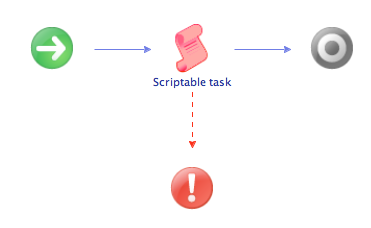 Drag and drop the Throw exception element on the Scriptable task and a dotted red arrow will be created. 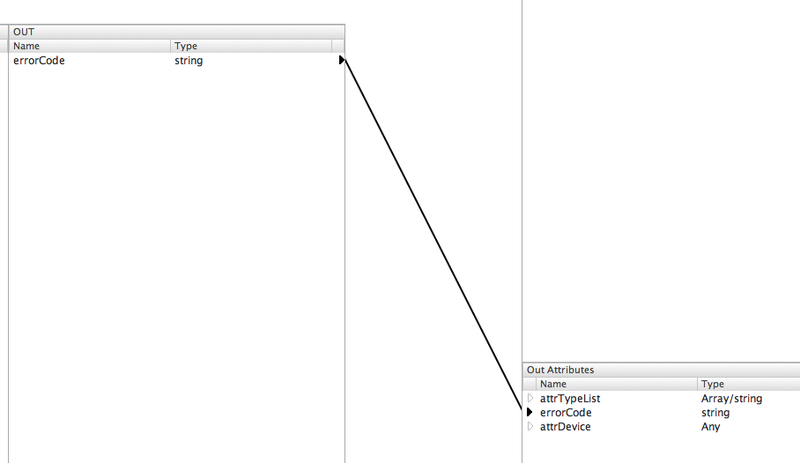 Doing this will automatically create an attribute called errorCode. 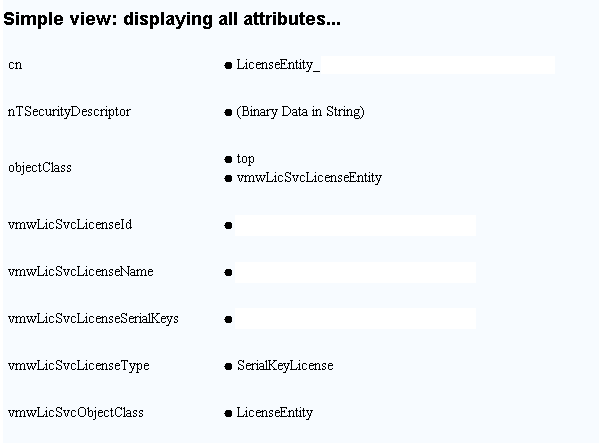 The purpose of this attribute is to catch any exception was thrown and forward it to the Throw exception element. This is why the variable e has been modified to errorCode earlier. Let’s run the workflow again choosing VLAN23. Unlike the previous example, now it will end in the throw exception state (the Throw exception element is highlighted). This is how you handle exceptions and will be moving onto fail-back process. In my opinion, fail-back is one of the important aspects when developing a workflow. Continuing with the example above, let’s say there are 3 more tasks after creating a network adapter which I will be calling X, Y and Z and if task Y fails, what would you do to the network adapter created in the previous stage? The answer is obvious, it has to be removed, you don’t want the users to run the workflow multiple times ending up with 10 identical network adapters on a single virtual machine. Let’s implement a simple fail-back process in this workflow. 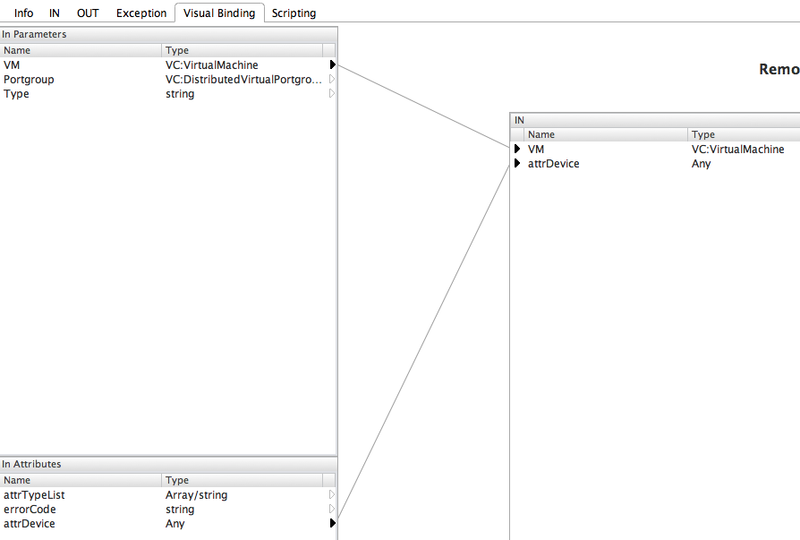 First of all, create an attribute called attrDevice with type to be Any (well there is no type with VC:VirtualDevice). This will be used to keep the device information. Once done, drag and drop 3 scriptable tasks between Create Network Adapter scriptable task and End element and call them Task X, Task Y and Task Z accordingly. Make sure you bind errorCode as the exception variable across 3 scriptable tasks and also, hover over and drag red arrow to Throw element. 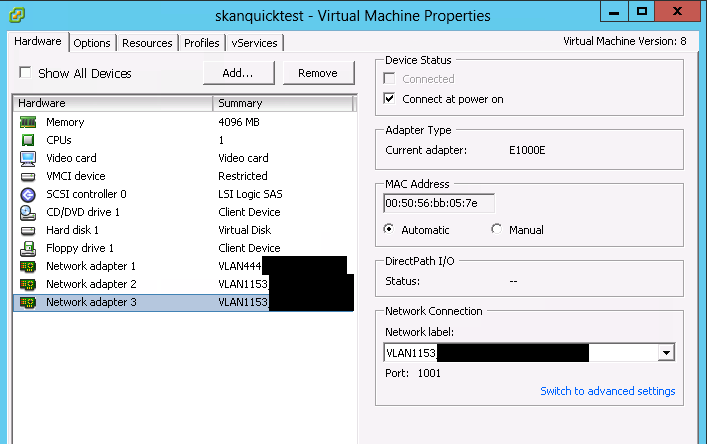 It has thrown an exception at the Task Y and looking at how many network adapters the virtual machine has, you will see that the network adapter wasn’t created. Fail-back was successful! Hope this blog post was helpful and as always, feel free to contact me for any clarifications or help.